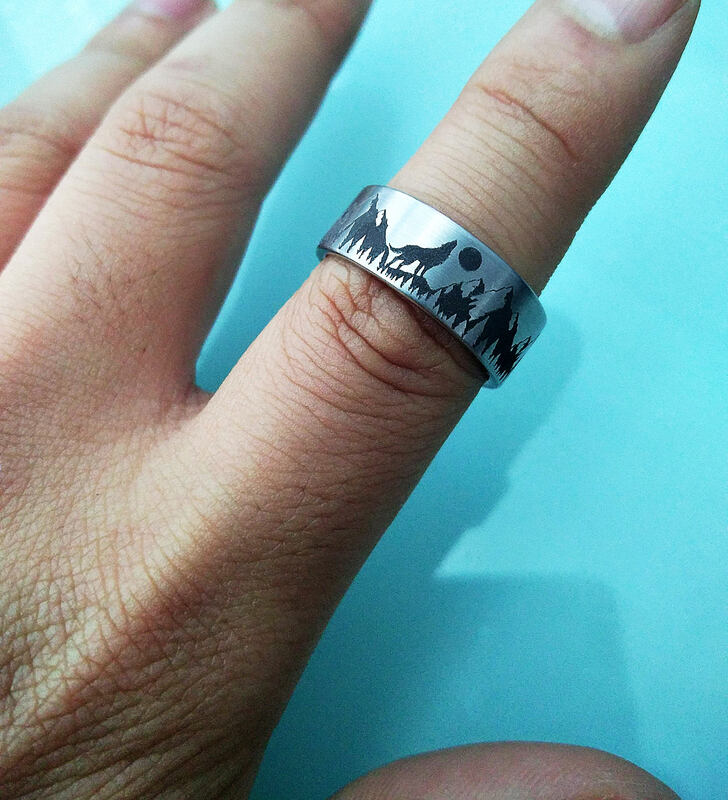 This is a flat polished tungsten carbide ring with an awesome forest scene of a howling wolf. 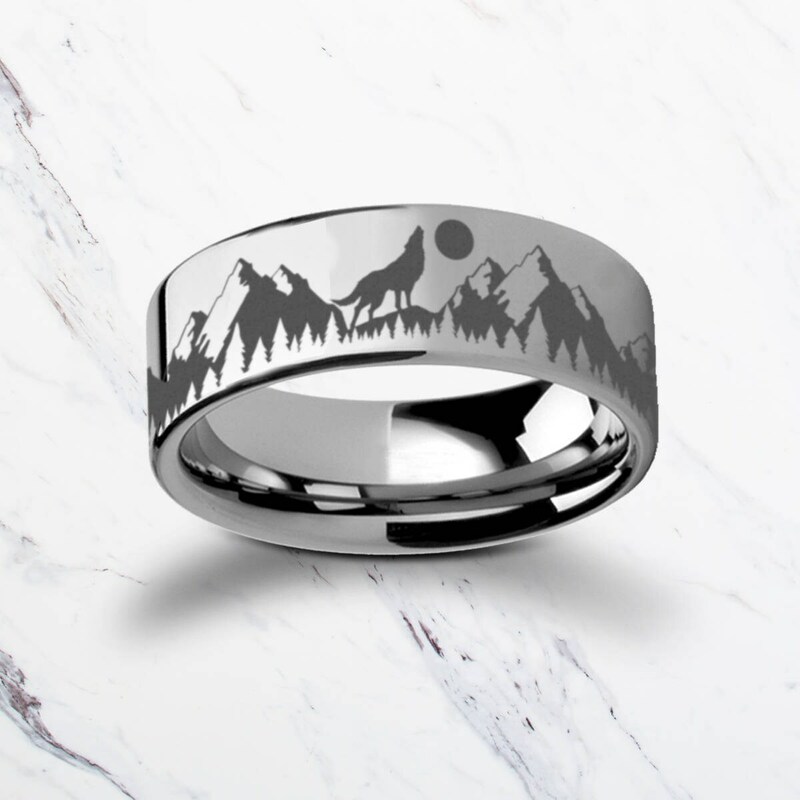 This is an awesome engraved ring for lovers of wolves and anyone that's into the outdoors. 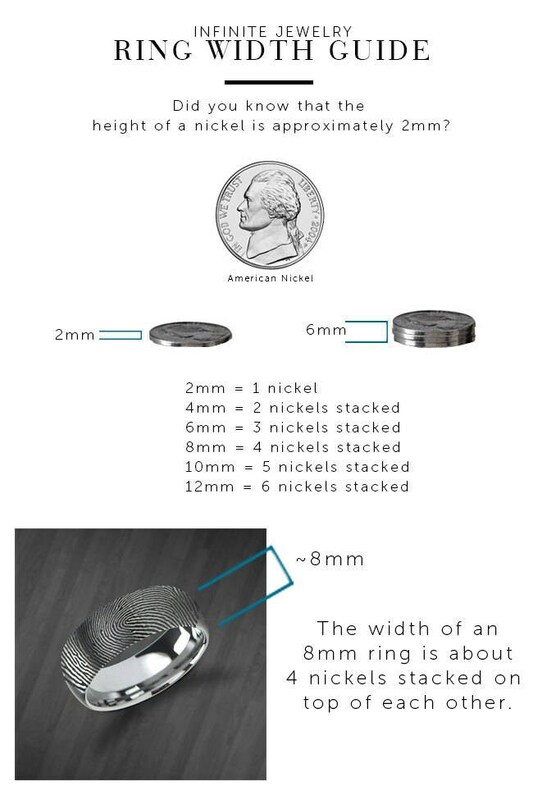 The scene is engraved either once or multiple times depending on the size/width of the ring. Amazing service!! They are very patient and willing to help make sure your ring is perfect. Also I was very impressed with the outcome. I thought the pictures were quite good but to see the ring in person it’s ten times as good!